Summary: After trained examiners and accomplished business professionals performed a thorough assessment of this work, Michael Bremer has been selected as recipient of an internationally recognized award from the Shingo Institute, part of the Jon M. Huntsman School of Business. The author will receive the award at the 28th International Shingo Conference occurring April 25-29, 2016 in Washington DC. LOGAN, Utah — The Shingo Institute, part of the Jon M. Huntsman School of Business at Utah State University, has awarded Michael Bremer with the Shingo Research and Professional Publication Award for his book, “How to Do a Gemba Walk.” Bremer is the executive director of the Chicagoland Lean Enterprise Consortium. 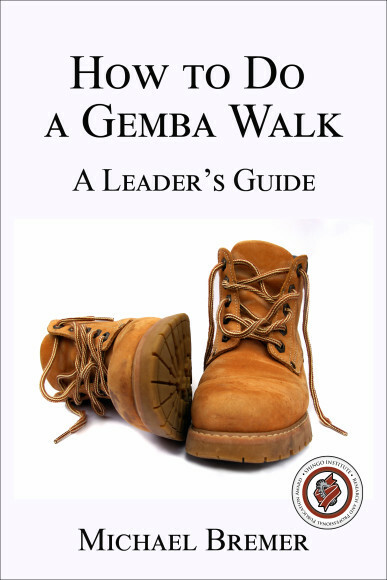 “How to Do a Gemba Walk” is a ‘how-to’ guidebook that provides leaders with a basic menu of options on ways to perform more effective gemba walks. This e-book is broken into three key segments relative to the walk: preparation prior to the walk, doing the walk, and debrief activities after the walk. The guide describes questions to ask for different types of walks and outlines an approach for leaders seeking to better understand the facts, make better decisions, and build consensus to achieve important goals. A respectful, effective gemba walk builds trust and lays the groundwork for a major transformation. It is amazing what one can learn during an effective gemba walk. Bremer will receive the award during the Awards Gala of the 28th International Shingo Conference in Washington D.C. The conference is a five-day event featuring a selection of workshops, plant tours, keynote speakers and breakout sessions designed to provide ongoing knowledge, insights and experience for organizations in pursuit of operational excellence.